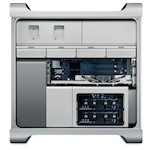 Leaked Apple inventory Leak = New Mac Pro’s And MacBooks with Ivy Bridge? Well it was bound to happen, with only a week to go till WWDC rumor mills have started going into overdrive. This time all the hubub is abouta purported leaked inventory list highlighting that new Mac’s are on the way. Continue reading → Leaked Apple inventory Leak = New Mac Pro’s And MacBooks with Ivy Bridge?